Get a Guaranteed Enthusiastic Response from your Customers! KeyGuard Combination Key Storage Safes combine durability and reliability with the convenience of keyless security at a competitive price! 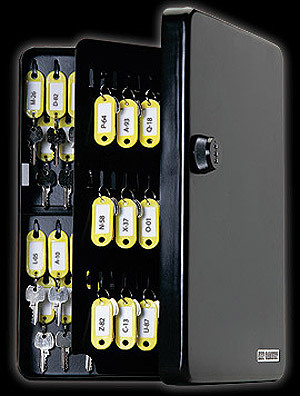 KeyGuard Combination Key Storage Safes surpass competitors in durability, reliability and value. Heavy duty steel construction, continuous "piano" hinge and steel key hooks put the KeyGuard key storage safe among the most durable key storage safes available. 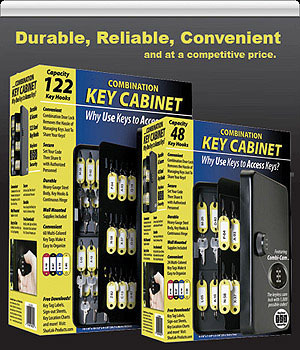 KeyGuard Key Storage Safes are backed by a 1 Year Manufacturers Warranty. Mounting hardware and key tags are included. KeyGuard Key Storage Safes are easy to install and organize. When someone in your region asks where to buy, we'll send them to you! Contact us with the form below. We will find the closest distributor in your area. Where did you hear about KeyGuard Key Storage Safes?